No News is Good News? Not at URBRUM. The news these days always seems to be bad news. Headlines talk of recession, poverty, crumbling NHS and Social Care services, homelessness, violence, abuse, drugs, mental health problems, fragmented communities and the list goes on. 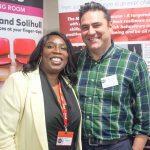 At Urbrum we love to recognise that across Birmingham and Solihull there are organisations working tirelessly to help the most vulnerable people out there, organisations and projects that want to make a real difference, offer hope and possibility. 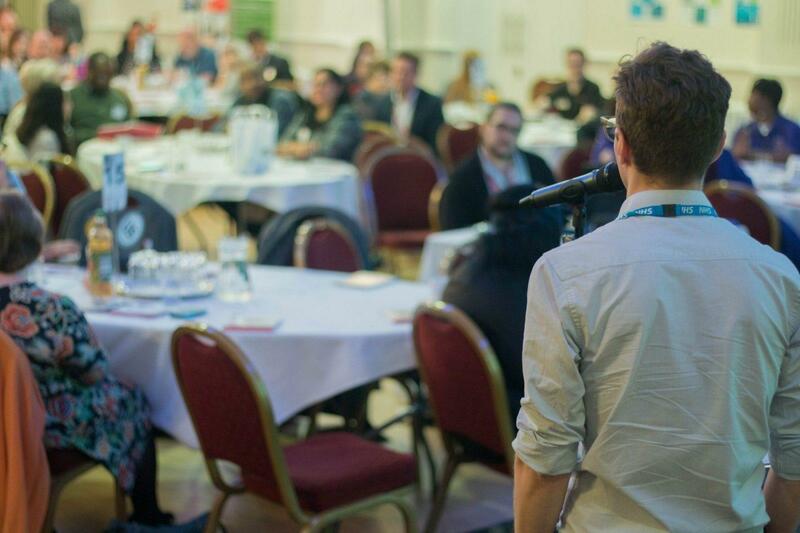 If your organisation or project is making a difference in our communities we want to hear about it – we want to shout out about it. 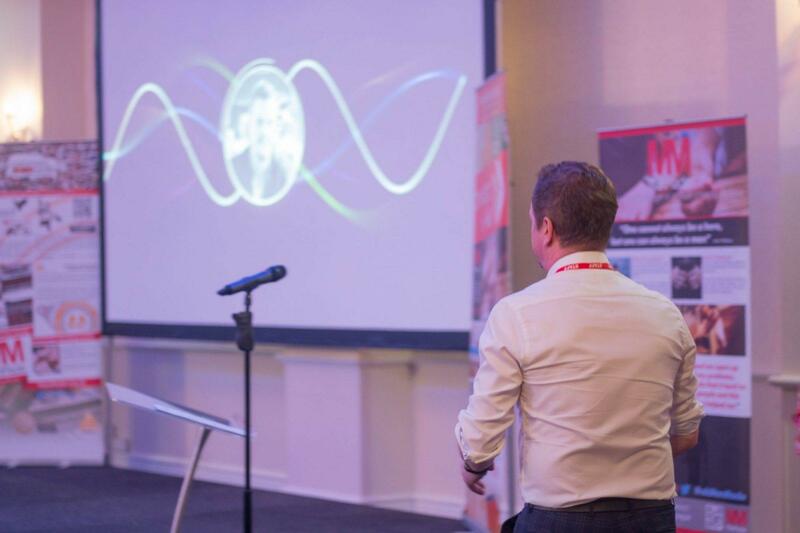 All you have to do is get in touch with us and we can make the arrangements with you to highlight your organisation through the Urbrum website. We can do this in loads of different ways. 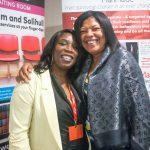 It can be written with photographs, or an audio recording or even come in and film your organisation/project so that people out there know all about what you do to support communities across Birmingham and Solihull. 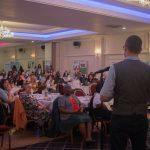 Recently Urbrum were invited to the Bethel Health and Healing Network to highlight the fantastic work they do to support communities. You can check out the film HERE. Got a service you want to share through Urbrum? 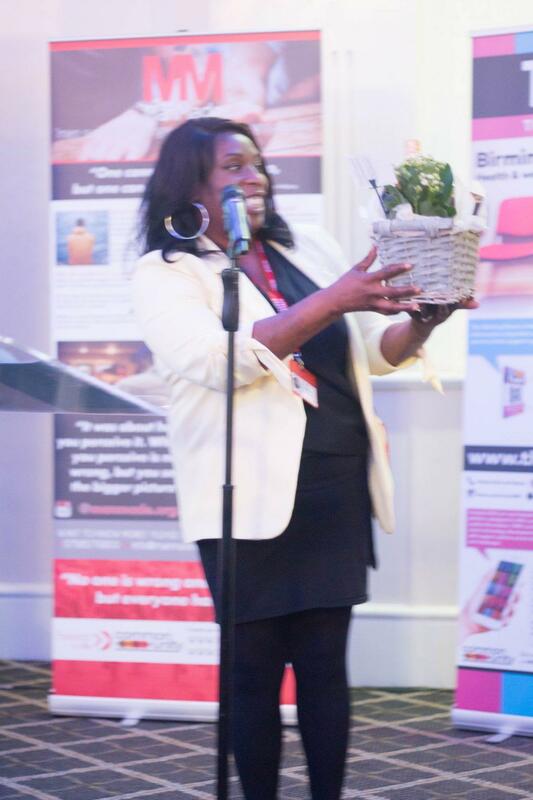 You can email us at info@urbrum.org so that we can start to look at highlighting the amazing work you do. Posted in Connecting Community NetworksLeave a Comment on No News is Good News? Not at URBRUM. Suicide is a taboo word in most communities. It’s something we don’t discuss. This is maybe because we are scared that talking about it might put it in someone’s head or maybe because our communities see it as a sinful thing to do bringing shame on the family or the wider community, or maybe because if we tell someone we are thinking about suicide they may think we need to be hospitalised because our mental health isn’t good. There are loads of reasons given for not talking about suicide by the people we work with, but the truth is very different. By not talking openly about our mental health, our worries, our concerns and even our suicidal thoughts or concerns about others and what they might be thinking we are actually making things worse. 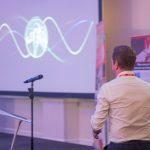 We are human beings and are social beings who need to connect – if we don’t connect then we struggle to survive. There is more strength in asking for help than in staying silent; by watching each-others backs we can save lives. 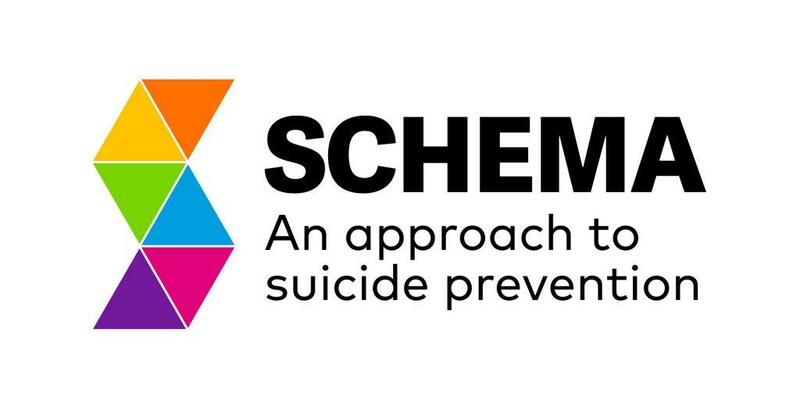 As part of the CCN programme – SCHEMA: An approach to suicide prevention has been designed, developed and delivered locally in Birmingham with very encouraging feedback from participants. Over the space of just one day, delegates learn a six-stage approach to best support a person with suicidal thoughts to stay alive. 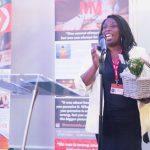 SCHEMA has been delivered to NHS employees, front line social care workers, community members, commissioners, bereavement support service providers, faith leaders, counsellors and most recently alongside the Housing Sector working with employees of Trident Group. Here’s what we are being told about SCHEMA by the delegates…. Unless you are living in a cave with no access to social media, newspapers, Blogs, Vlogs etc etc…. then you will know that the NHS is struggling to cope with demand. In fact – every part of every health and social care service is struggling. Demand is increasing but money is scarce to meet the increasing demand. Something somewhere has got to give at some point. Or maybe not. Maybe there is another way to look at health, and more specifically “mental health and wellbeing.” Maybe we need to stop looking so much for answers from the big old service providers out there and start to look at solutions in our own backyard – even in ourselves. 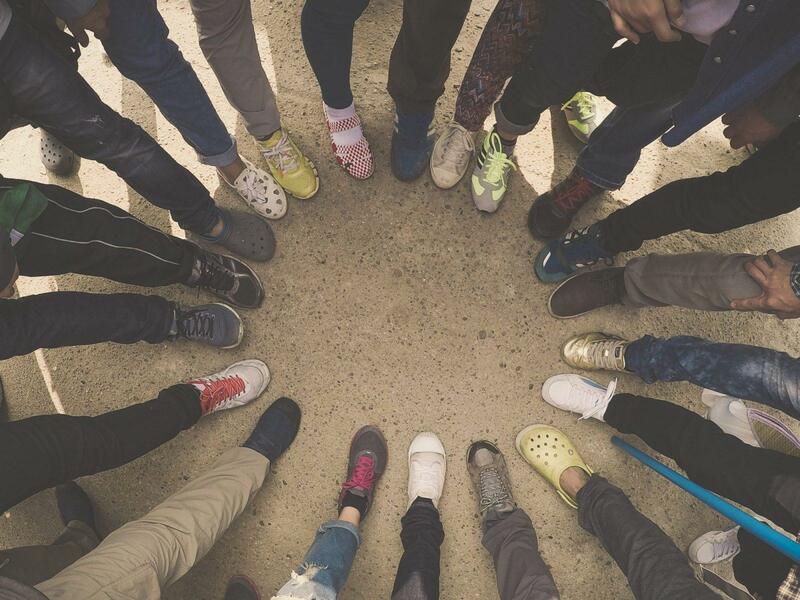 The Connecting Community Networks Programme is all about workingupstream – meaning we need to recognise that before crisis kicks in, there areoften many things we can do to look after our own mental health and wellbeingand even be better prepared for when “stuff” hits the fan. 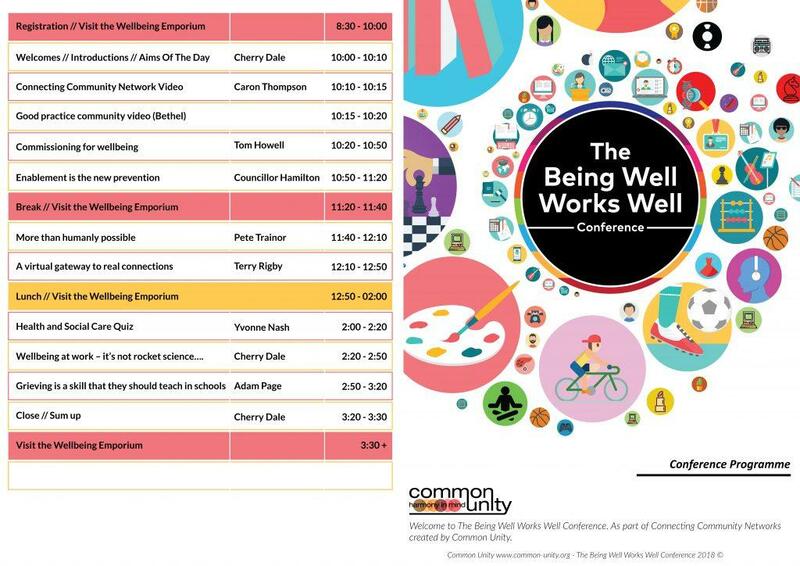 So, the Being Well Works Well Conference in October 2018 was an opportunity for us all to discuss what we already have in Birmingham and Solihull and how to better take care of ourselves by knowing as much as possible about where to go, what to do and best take control of our own lives. 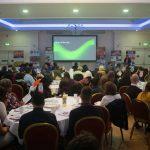 With over 150 delegates, 80 represented organisations, a range of experiential wellbeing stalls and a diverse set of forward-thinking speakers from across the board, The Being Well Works Well achieved way beyond all our expectations. 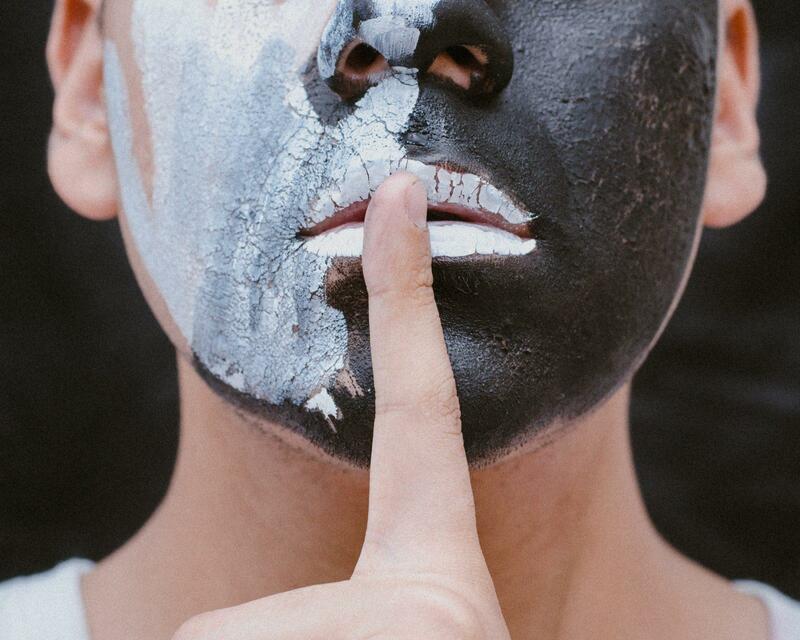 It successfully turned on its head the notion that World Mental Health Day was all about Mental Illness support by instead, focussing on what we can all be aware of in respect of our own wellbeing and owning it. 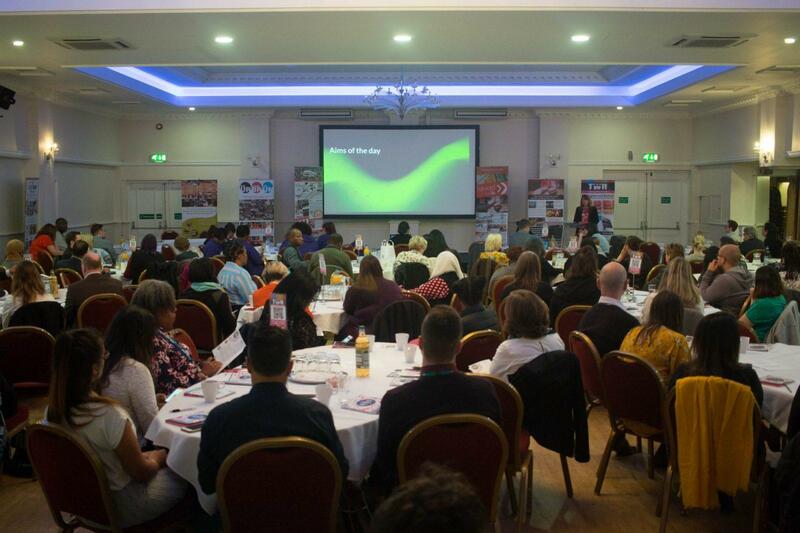 Presentations were heard from Artificial Intelligence guru Pete Trainor, Suicide Prevention and ManMade Founder Terry Rigby, Adults Safeguarding Lead and Workplace Wellbeing Specialist Cherry Dale, Loss and Bereavement Counsellor and Trainer Adam Page, Health and Wellbeing Champion Councillor Paulette Hamilton and the ever-awesome Mental Health Commissioning Lead, Tom Howell. ….and all of it was free. 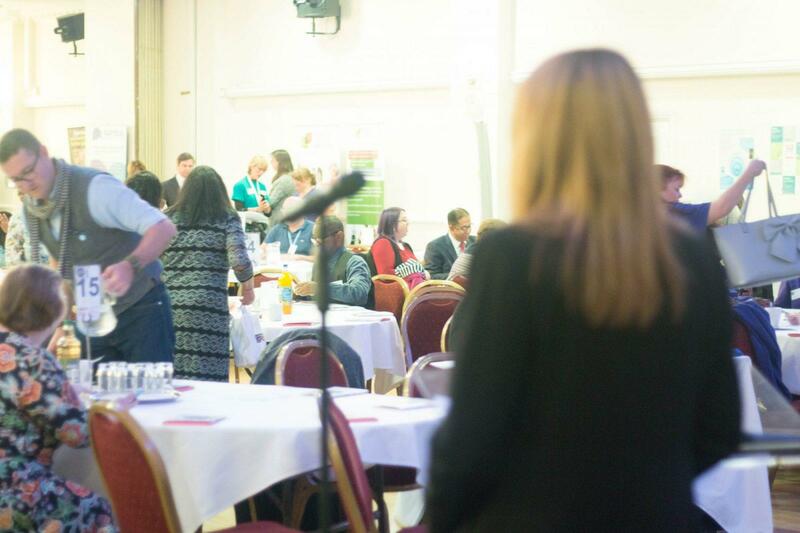 If you want to keep up to speed with future events being hosted through the CCN programme then signup to our mailing list HERE. There are a range of commonly held myths about suicide, but one of the most challenging myths is the idea that by openly asking a vulnerable person if they are thinking of suicide might actually encourage suicidal behaviour, or even put the thought into their head. Evidence has shown though that this couldn’t be further from the truth – In Preventing Suicides: A Global Imperative, The World Health Organisation stated that “Rather than encouraging suicidal behaviour, talking openly gives an individual other options or the time to rethink his/her decision, thereby preventing suicide.” So talking about suicide, be it in a professional or personal setting doesn’t make people think about it as a new option for consideration nor does it encourage a suicidal act and could actually save a life… Infact, one could even argue that not talking about suicide and suicidal thoughts when it presents itself as a possibility means we are less likely to have a reductive impact on the number of suicides across the UK. So why don’t we talk about it more? We know about the risk of injury and death in road accidents and invest heavily in road safety yet suicides per year outnumber deaths in road accidents by 300% Suicide takes over 6000 lives per year in the UK and the silence that surrounds it because of the stigma associated with it means that suicide and suicidal acts will continue to happen. Thankfully, people are starting to take notice of this devastating issue. 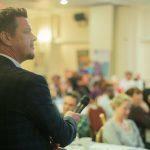 Many much needed organisations are being established that provide a range of approaches to breaking the silence around suicide and assisting opportunities for living life. 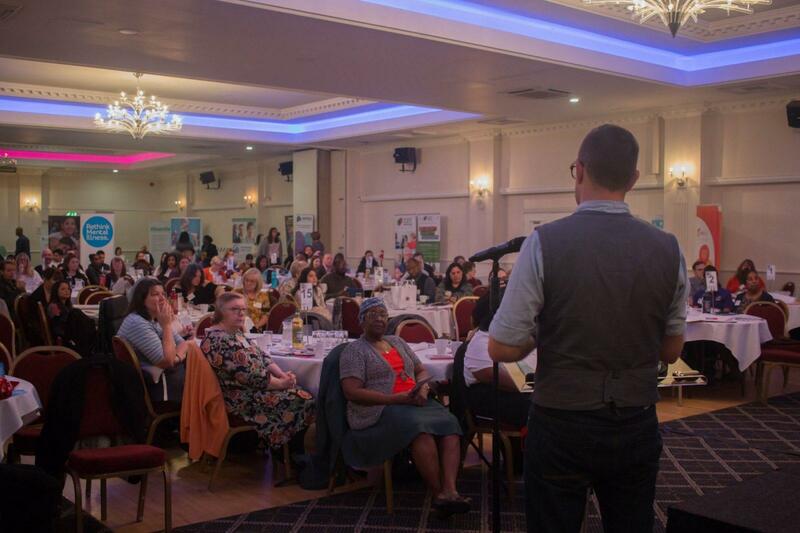 Common Unity and Forward For Life have recently had the pleasure of working alongside one of these newly established organisations known as The Ollie Foundation. The OLLIE Foundation is a charity set up by three parents who lost their children to suicide. OLLIE stands for One Life Lost Is Enough. 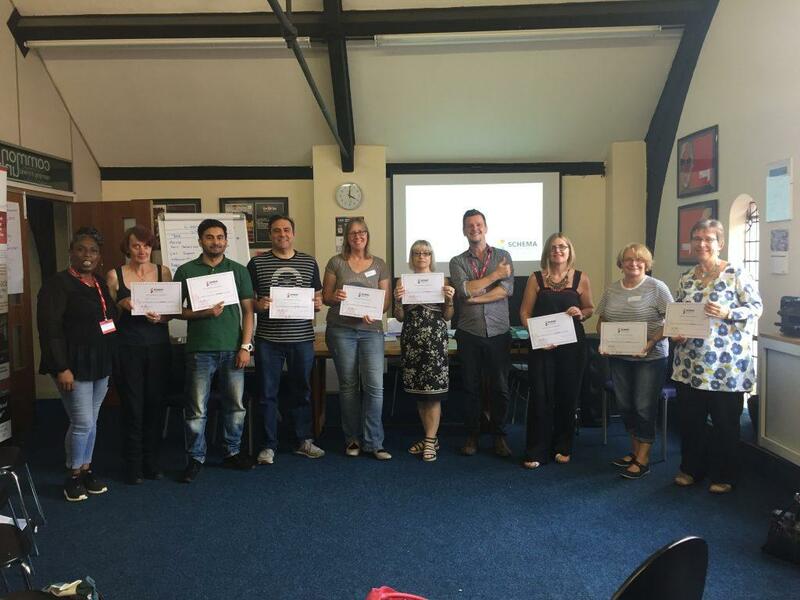 OLLIE’s key mission is to ensure the rolling out of both safeTALK and ASIST courses across Hertfordshire, especially targetting professionals and carers who work alongside young people. 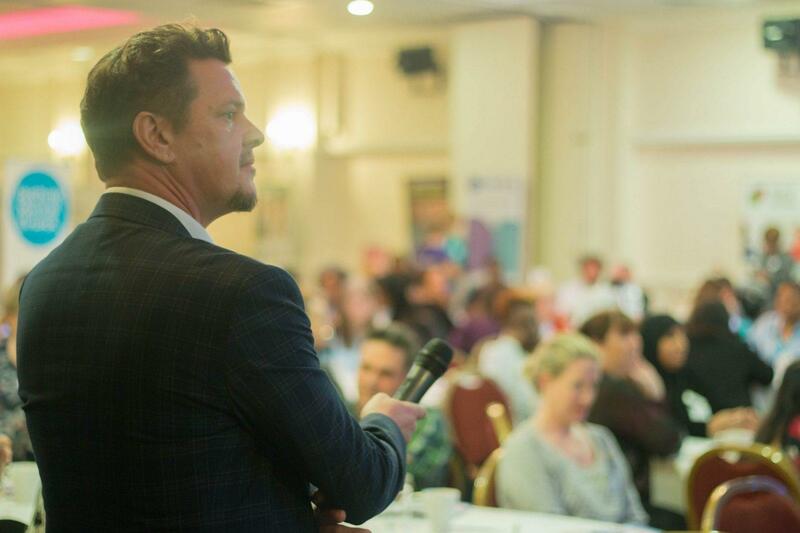 As recognised Master Trainers, having trained over 1400 people in the last 3 years, OLLIE approached Forward For Life and Common Unity to provide guidance, support them with their initial set up and provide the high quality suicide prevention training needed until a time when OLLIE have their own licensed trainers in suicide prevention. Life can be hard…but for some, because of particular circumstances, and more often than not, through no fault of their own, life can be much harder still. 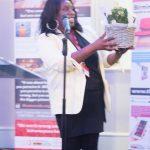 Connecting Community Networks recognises this and looks to protect and enhance citizen well-being and promote life quality. 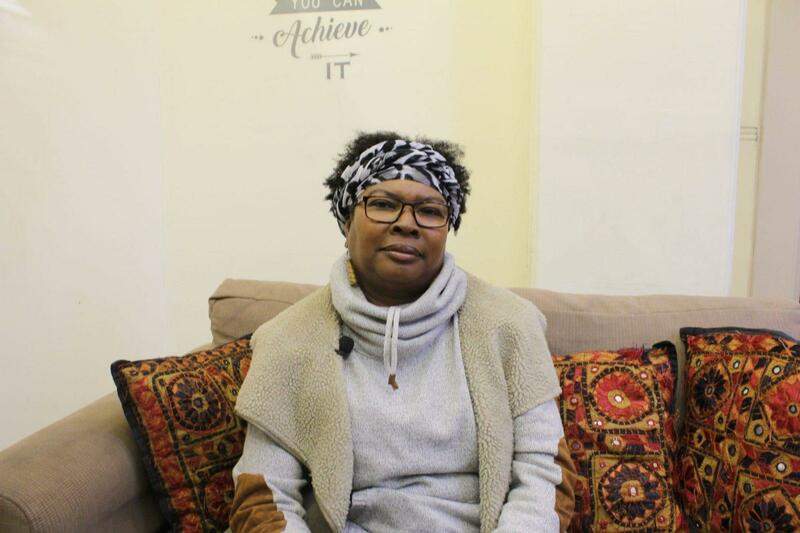 It oversees the delivery of a number of much needed holistic services that have real, evidenced based wellbeing benefits for some of our most vulnerable members in the community. 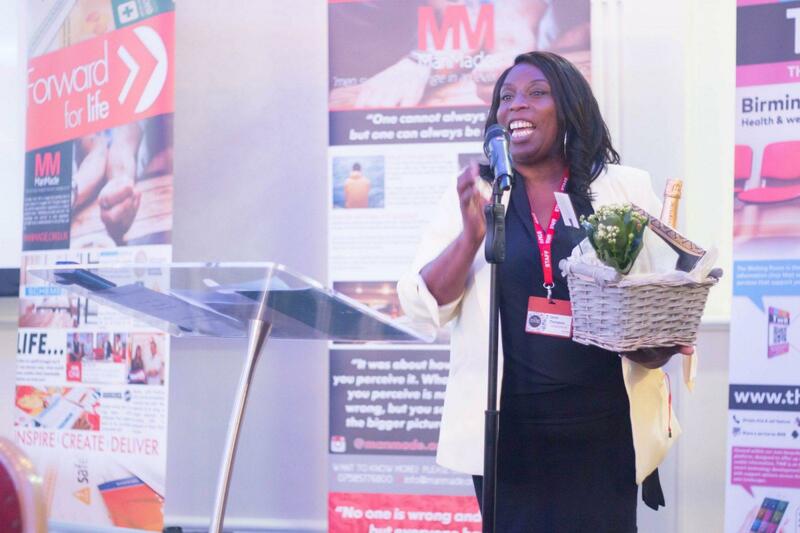 CCN takes a different approach from many other traditional services by starting from a premise of vulnerability and risk due to life challenges and looking to demonstrate a positive resolution for the individual based on improved wellbeing. 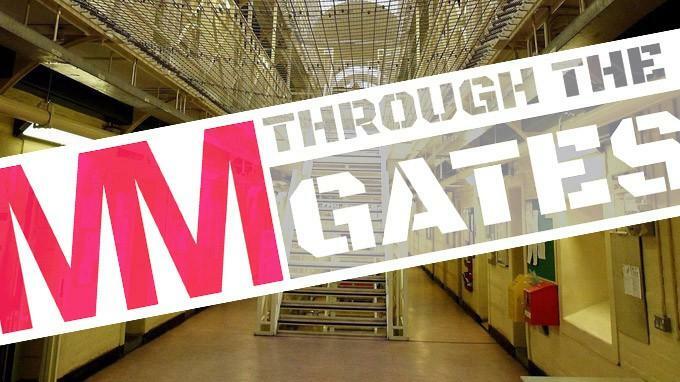 ManMade: Through The Gates – Utilising the ManMade Peer-Led support approach that enables men to survive in modern day society, ManMade: TTG is an exciting opportunity to test the model and its impact with men at HMP Birmingham who are soon to be released back to the community. ManMade: Cruse – Men often find it difficult to engage regarding their losses in life and thus can play a negative part in men coping with the crisis through loss. This programme looks to achieve greater resilience and well-being through providing men with the opportunity to engage with the area of loss and bereavement as part of a Peer-Led Support Programme led by specialists in the field of Bereavement. 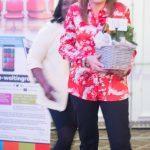 Bloom in Birmingham is a unique project aimed at reducing social isolation and improving the physical and mental well-being of women living in Birmingham and at risk regarding their health utilising a peer-led support approach. 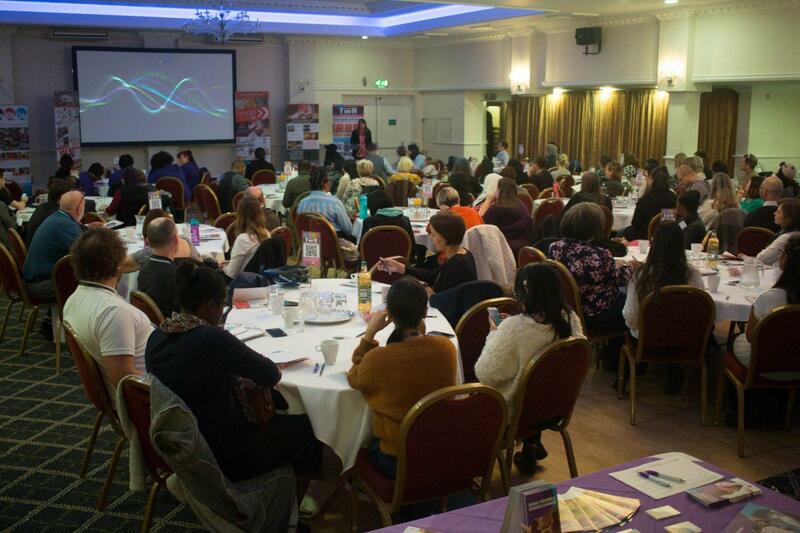 As part of the Connecting Community Networks, the ManMade Programme was introduced at Better Pathways in Birmingham. 7 men in total attended the programme which supports men to openly discuss a range of areas that men wouldn’t traditionally feel comfortable discussing. 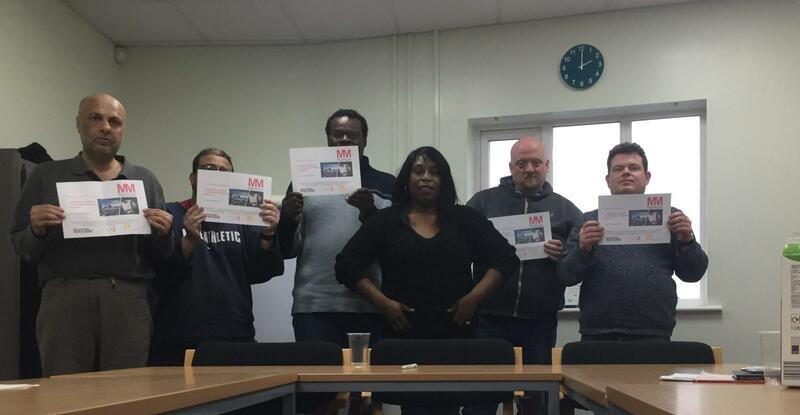 The MandMade Family programme successfully supported men to be able to talk more openly about their emotions, to build their confidence and selfesteem, to know where to go for help and to support others in the community. 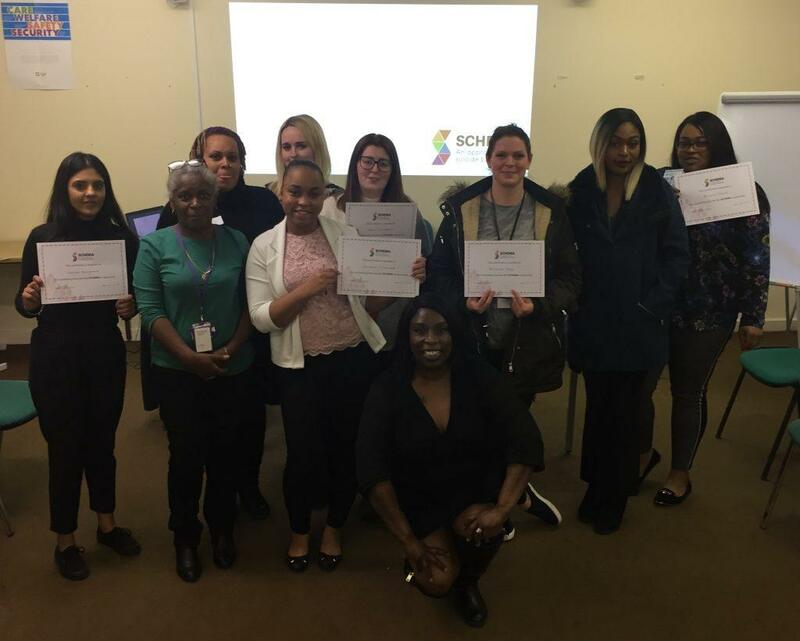 This was achieved through an eight week workshop programme which includes peer discussion, information sharing and self-reflection on a range of health and wellbeing topics, underpinned by person centred facilitation approaches. 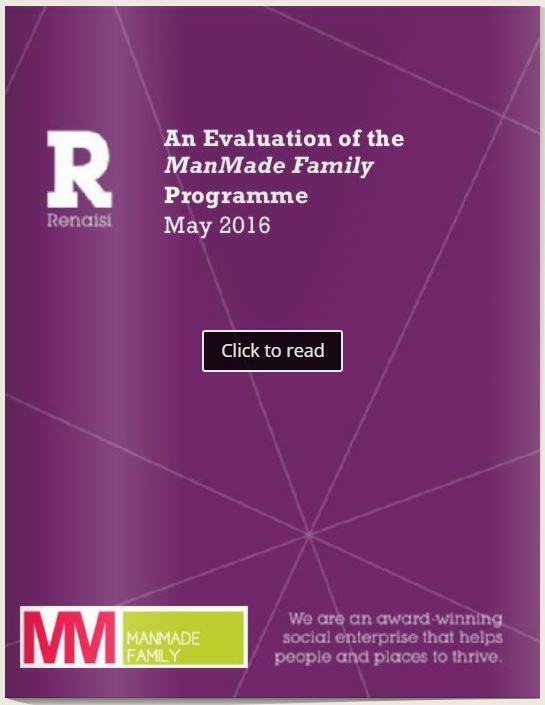 This report presents findings of an evaluation of The ManMade Family programme, delivered in Sandwell from February – March 2016. 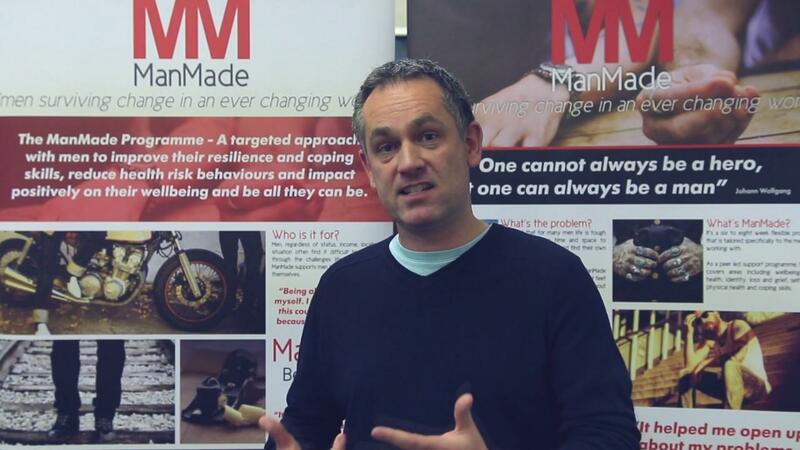 ManMade is an eight week programme of workshop sessions designed to support and empower unemployed men to take care of their own mental health and wellbeing. It was developed by Forward for Life and Common Unity in response to high levels of poor male mental health and suicide, associated with gender identity. Five men took part in this programme, which was more explicitly focused on supporting men with caring responsibilities. 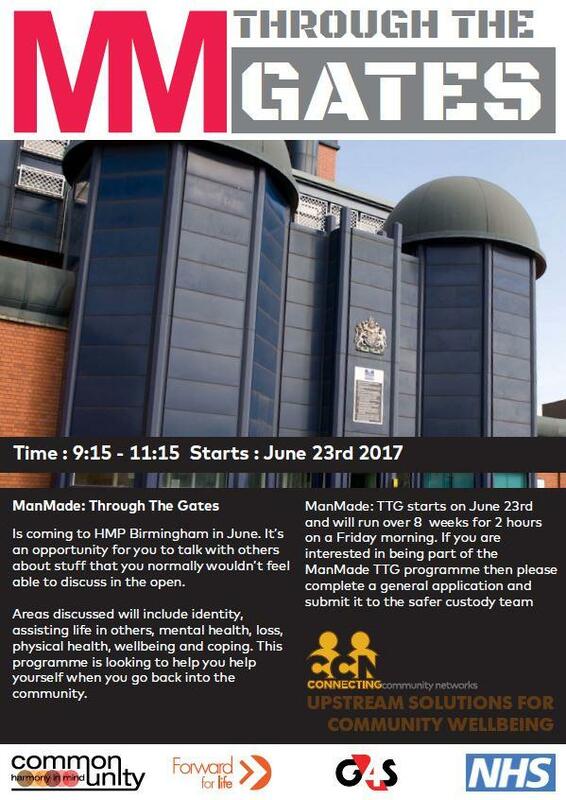 ManMade: Through The Gates is coming to HMP Birmingham in June. It’s an opportunity for you to talk with others about stuff that you normally wouldn’t feel able to discuss in the open. Areas discussed will include identity, assisting life in others, mental health, loss, physical health, wellbeing and coping. This programme is looking to help you help yourself when you go back into the community. ManMade: TTG starts on June 23rd and will run over 8 weeks for 2 hours on a Friday morning. If you are interested in being part of the ManMade TTG programme then please complete a general application and submit it to the safer custody team. 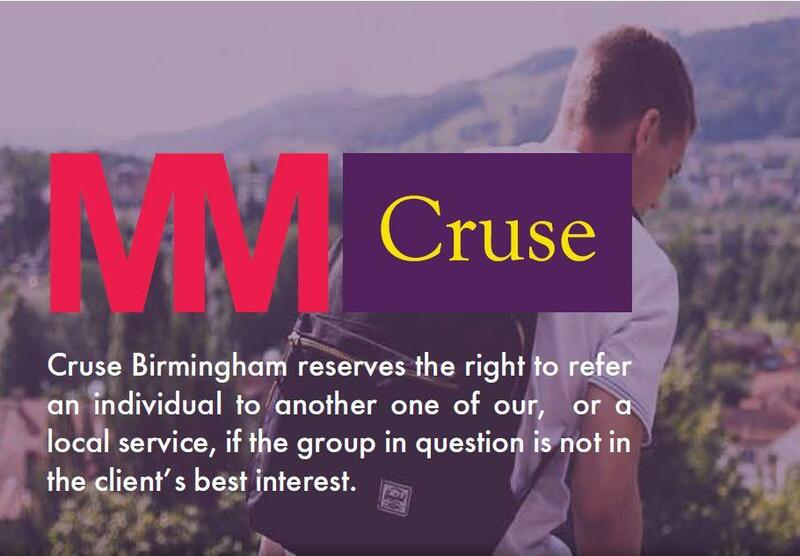 One option is to attend the ManMade Cruse group in Birmingham. It’s for men who have experienced bereavement and feel lost as how to deal with it. The group has a course structure and runs for 6 sessions starting on the 12th of September 2016 – Time 5:30PM – 7:30PM. Initially, you learn more about grieving and what it actually is. With new understanding of what you are dealing with, you have a greater awareness of what you need to do to get through it. 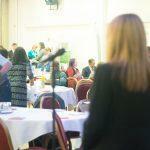 There will be plenty of time and opportunity to talk about your bereavement and what your struggles are. However there is no requirement to divulge if you feel uncomfortable, you can engage as little – or as much as you like. 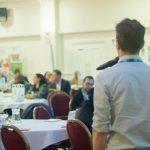 For the year 2016/2017, The NHS Joint Commissioning Team for Mental Health in Birmingham has invested in a number of one-year pilot programmes that aim to promote wellbeing, improve quality of life and life opportunities for those most vulnerable in Birmingham. 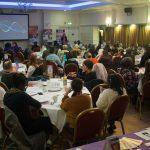 This work, being managed as a whole by Common Unity, comes under the umbrella name of Connecting Community Networks being an accepted, locally designed framework that oversees the delivery of much needed holistic services that has real, evidenced based wellbeing benefits to the most vulnerable sectors within our city. 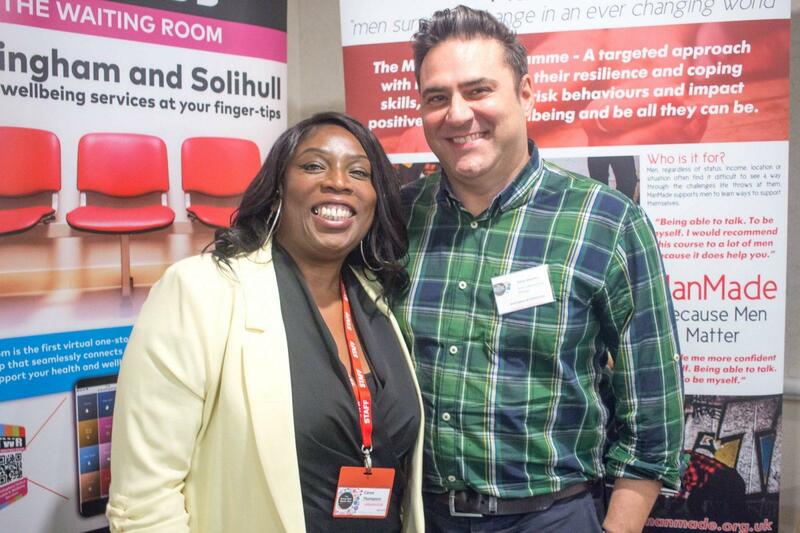 Funding for the delivery of a 6-week Peer Support Based ManMade Programme within the criminal justice sector has been realised with HMP Birmingham being the focus for such a pilot using key elements of the tested and evaluated ManMade Programme implemented to date in Sandwell and Dudley. 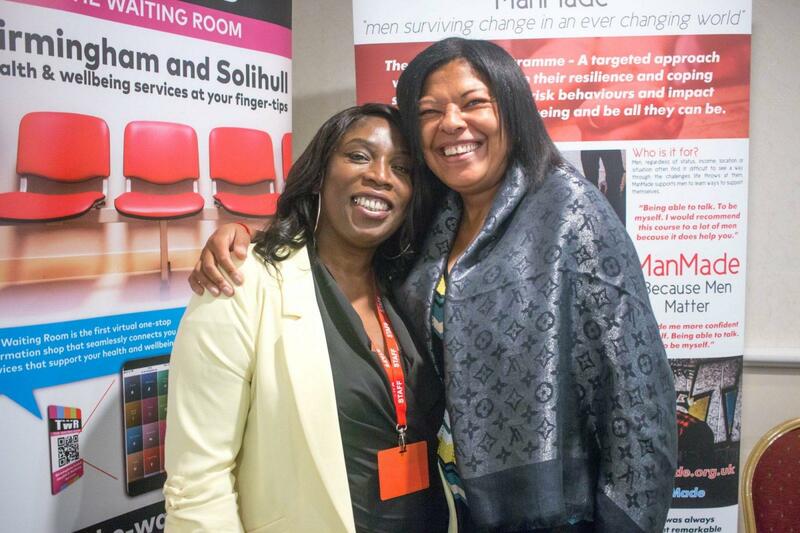 The ManMade Programme for Criminal Justice, utilising Associates who have delivered ManMade to date and a Community Development Worker, will look to work closely alongside existent service provision within HMP Birmingham including HealthCare and CRC delivery agents, to best support prisoners who are soon to be released back into the community. The proposed cohort is a maximum of 15 participants with anticipated delivery being November – December 2016 for a period of 6 weeks (2 hours per session). Increase resilience and wellbeing over the period of implementation. Reduce the suicide risk on release from prison. 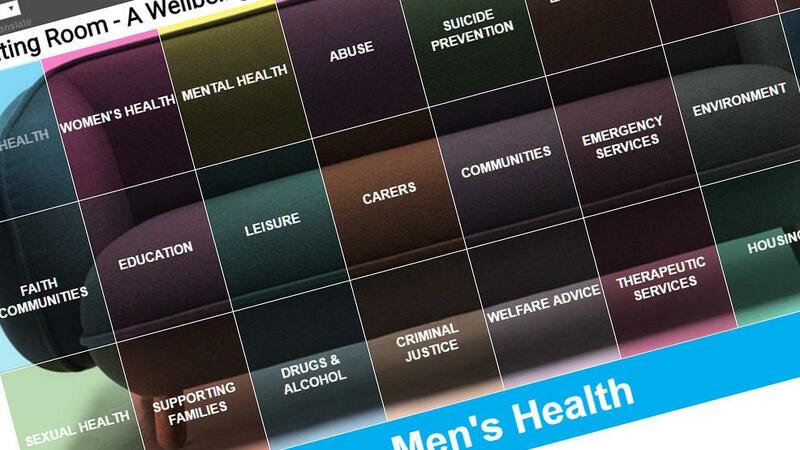 Empowering men to better understand themselves and their own mental health and wellbeing. Equipping men with the skills, tools, information and options to manage their mental health and wellbeing. 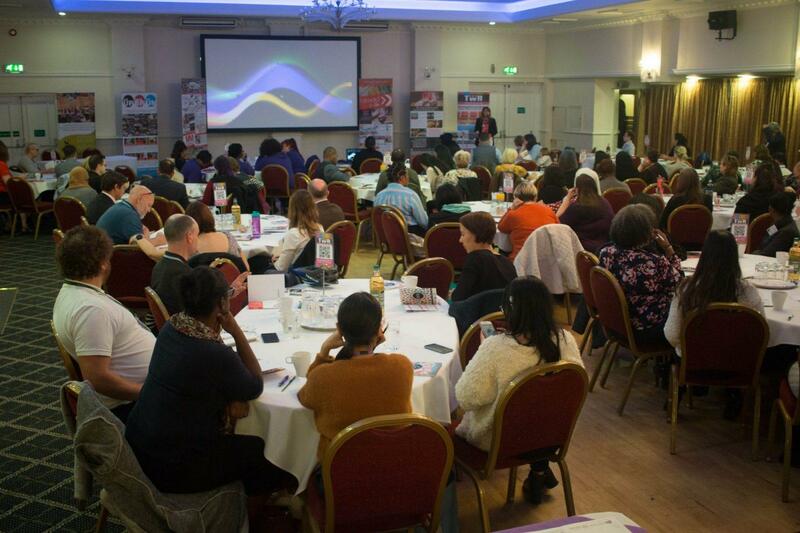 A dedicated community based professional support assisting each delegate to view wider opportunities for enhanced wellbeing in the community alongside the existent support opportunities currently in place through CRC. 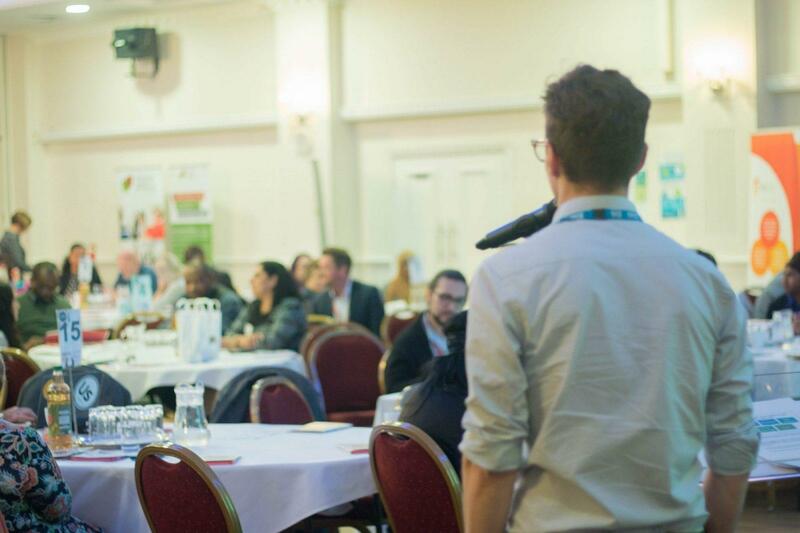 Urbrum, as a web-based community centred platform, is all about discovering innovative ways of engaging communities with their own health and wellbeing and the health and well-being of those around them. 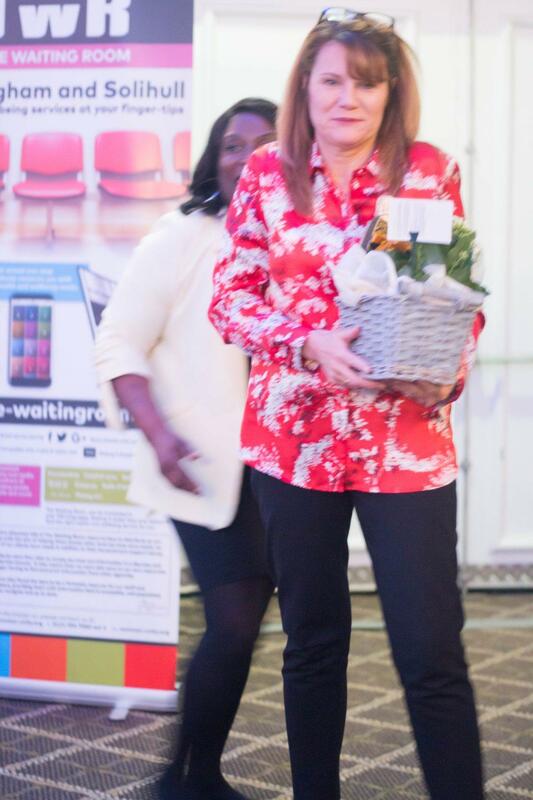 Its approach to engagement, information and intelligence sees communities as both the recipients and providers of health and well-being intelligence with a view that through such an organic process, services and support will continue to best reflect what communities need and want. What is the URBRUM Key About? The Urbrum Resource Key provides an alternative approach to taking control of our own health and well-being – it is a virtual bridge across “The Information Chasm” that connects support services to the recipient almost instantly – the Urbrum Resource Key by engaging citizens with sources of support directly and seamlessly is, in its own right an intervention, taking away the often wearisome process of finding the right place to get help – an online resource library of information and support that can be navigated with minimum difficulty. In addition, the ongoing management of the process is relatively small but engagement can be realised at high levels and monitored effectively. 1) To be innovative in technology we don’t have to invent – we just need to redefine or refine existent technologies that are relatively inexpensive, or better still, free and serve a useful purpose. 2) Make access to this technology easy and discreet through a convenient access route housed within a long-lasting product. 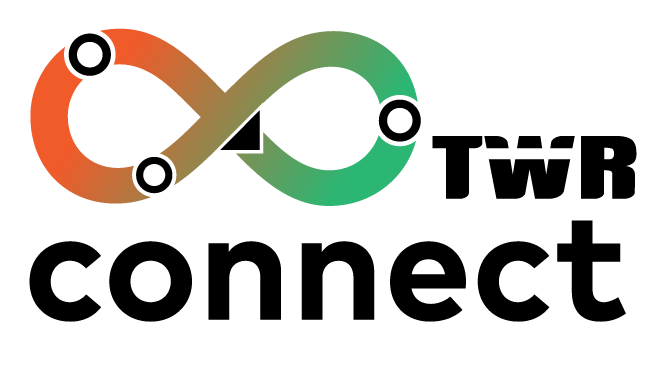 3) Don’t waste time and resources building new data from scratch – use existent web based data and from this framework develop the portfolio over time to best target communities and meet local need. 4) Recognise that informed choice is paramount for citizens in realising their own health and well-being – the resource key is all about informed choice. What Are the Opportunities for This Approach? The opportunities for Urbrum Resource key are many but will only be realised with investment both in respect of time, development opportunities and close partnership working. The resource key as a front-virtual intervention has great possibilities. Public Health would be in the position of targeting information to specific vulnerable communities providing them with instant access through the Waiting Room to vital local and national information that can support their needs and raise awareness. 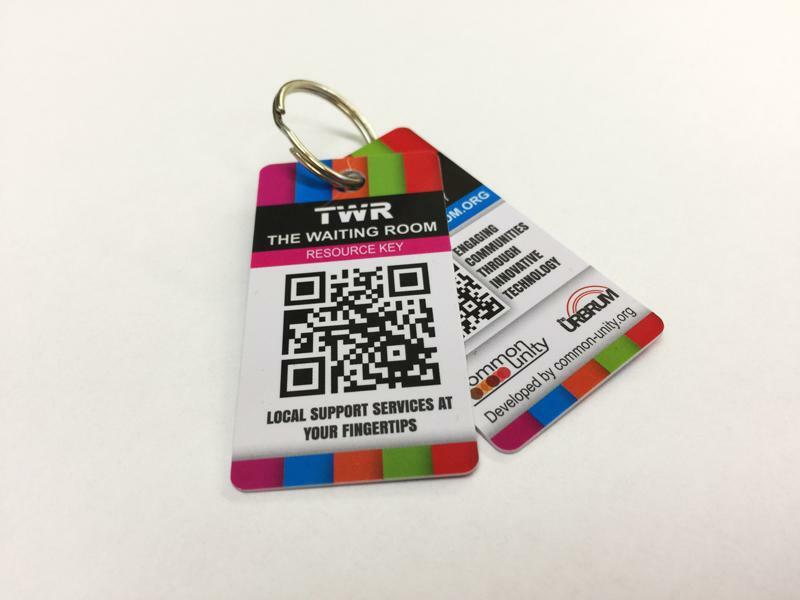 Through targeted marketing in a range of geographical settings, cost effective advertising of The Waiting Room can be realised – Examples include Beer Mats in pubs, on clothing, on bus shelters, on bill-boards, in A&E Departments, GP Practices, The Courts, Prisons, Police Stations, in taxis, on taxis, on Buses, on email signatures, pharmacy bags – basically wherever there is a space etc. The Health and Social Care sector is being crippled by demands placed upon it. 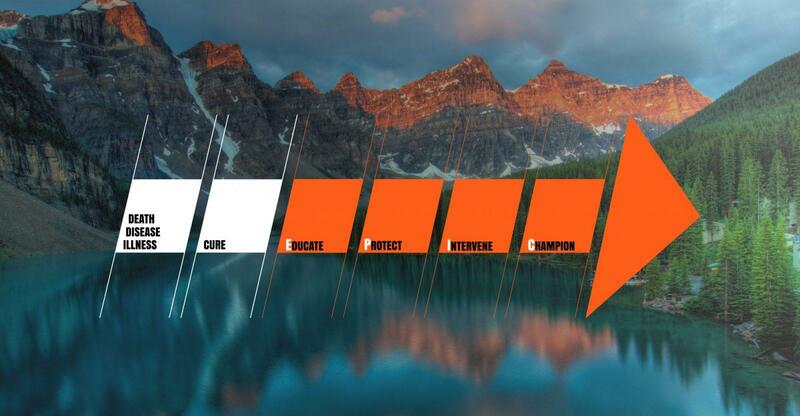 The Resource Key is a cost effective way of enabling people to engage with their own health and well-being on their terms at the earliest juncture possible. Through empowering citizens to look after their own health and well-being through utilising existent, often previously unknown resources, the demand on front line health and social care should reduce and the opportunity for front line services in health and social care to signpost citizens to such health and well-being opportunities has to be beneficial for all. It also means that people are enabled to access the right services and the right time to best meet their needs as quickly and efficiently as possible. 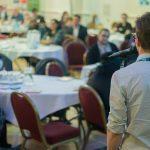 Posted in Connecting Community NetworksLeave a Comment on What is Connecting Community Networks All About? 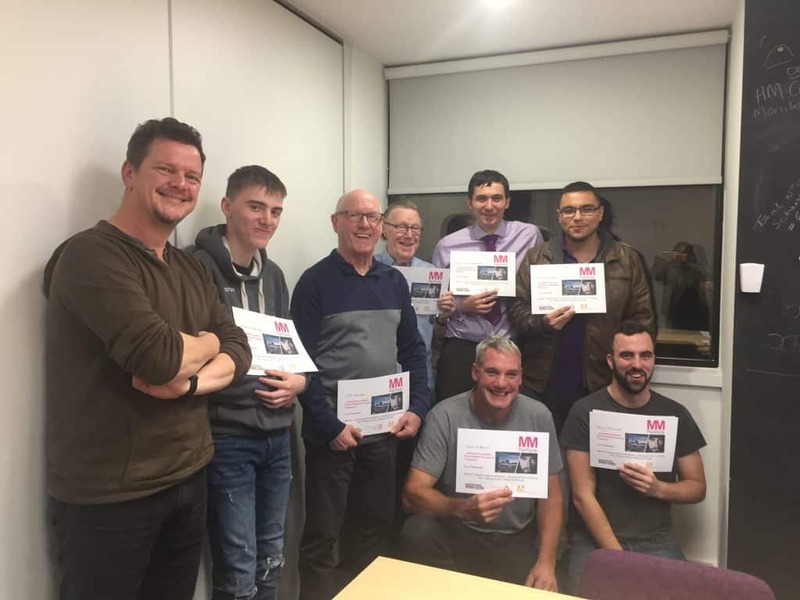 Man Made is a forward thinking programme that supports men between the ages of 20 and 60 to realise their full potential – a tailored 8 week programme providing participants with the skills and knowledge to support their own health and well-being. Despite the general public perception, the suicide rate of men in mid-life has been comparable to younger men. In the last eight years though suicides in younger men have reduced whilst for men in their mid-years there has been an increase. But this is not just a challenge of age – when it comes to suicide there are a range of associated inter-related factors that can bring an individual to feel in such a state of despair that they literally believe they would be better off dead. Associated factors for men, and women, include social inequality, deprivation, health inequalities and financial inequality as well as, in the case of many men particularly, an underlying ongoing challenge of male identity – this is where we need to consider what characteristics are deemed important when a man compares himself to his peers and how can we tackle those characteristics which prevent men from seeking help? With the recession having hit hard across the UK and no less hard in the West Midlands in the last few years, the effect of unemployment experienced by many men twinned with a range of other associated factors that often follow on, means that despair for many individuals in this situation can result, in the most tragic of cases, in death by suicide. 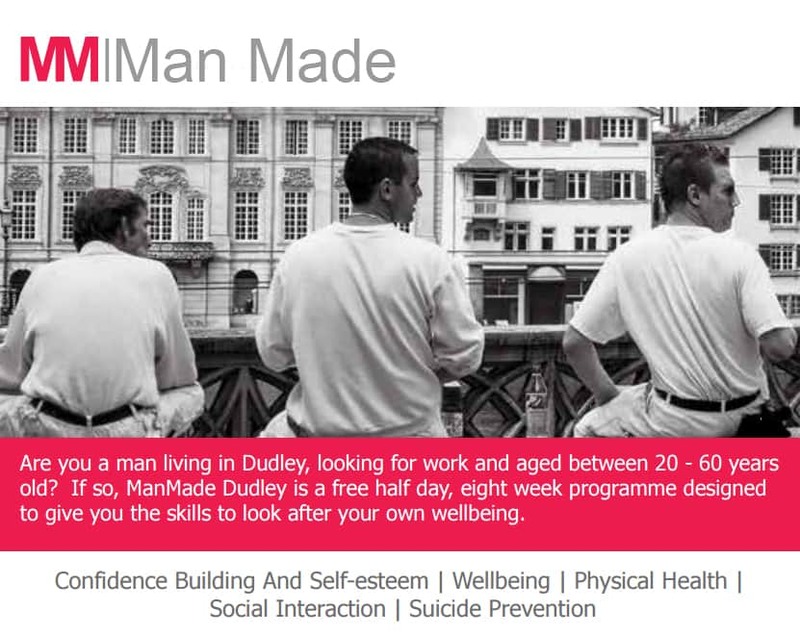 The ManMade Dudley Programme was established in February 2015 as a pilot programme that engages unemployed men from the area to best support them emotionally and practically in taking best care of their own mental health and well-being. This evaluation looks to cover all the aspects of ManMade, both its successes and challenges, in the hope that firstly, the learning from the programme can be cascaded to best realise a greater understanding of the complexities of men as well as secondly, providing a knowledge platform where this programme or future off-shot programmes be developed further for the benefit of the wider cohort. Community Cohesion is what should happen in all communities to enable different groups of people to get on well together.A key contributor to community cohesion is integration which is what must happen to enable new residents and existing residents to adjust to one another. 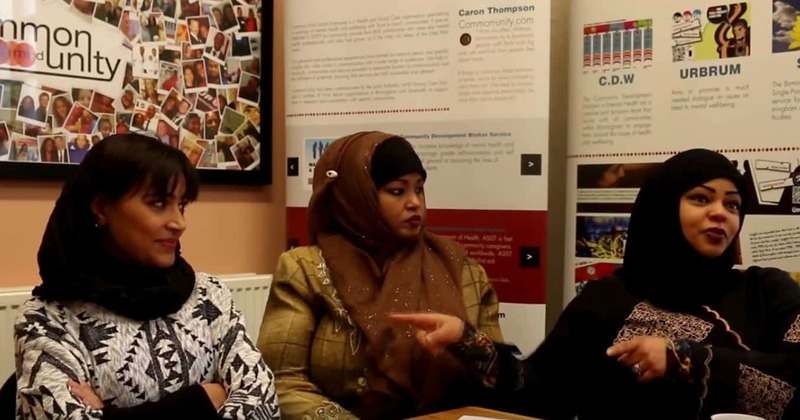 The City Wide Community Cohesion Programme is an innovative and flexible service that through its accessibility for everyone means that integration is possible throughout the city. The programme is run by the Community Development Workers (CDWs) and it focuses on working with all vulnerable communities and with front-line staff who may be providing support to vulnerable community members. 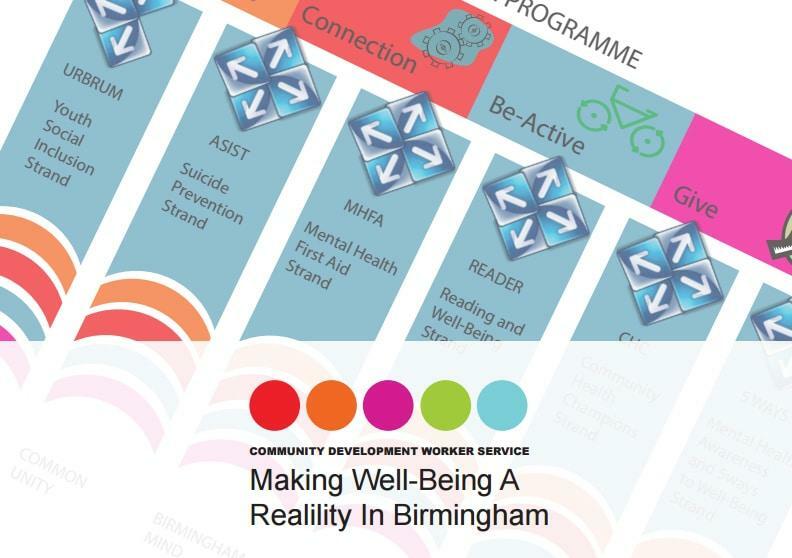 The CDWs work to increase knowledge of mental health and wellbeing, to encourage greater self-awareness and self-management, and to stimulate community engagement; all geared at improving the lives of Birmingham’s residents.